Joseph Jerome is Policy Counsel for the Privacy & Data Project at the Center for Democracy & Technology. His work focuses on the legal and ethical questions posed by smart technologies, artificial intelligence, and digital advertising, and he is interested in promoting better transparency and user control mechanisms around novel uses of information across the Internet of Things. 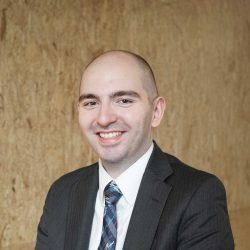 Prior to joining CDT, Joseph was an associate in the cybersecurity and privacy practice at WilmerHale and worked on a wide range of consumer privacy issues at the Future of Privacy Forum. He has written articles on the privacy implications of big data, data portability policy, trust challenges in the online sharing economy, and emerging technologies in video games. Joseph has a J.D. from the New York University School of Law, where he was an International Law and Human Rights Student Fellow. He is a Certified Information Privacy Professional.